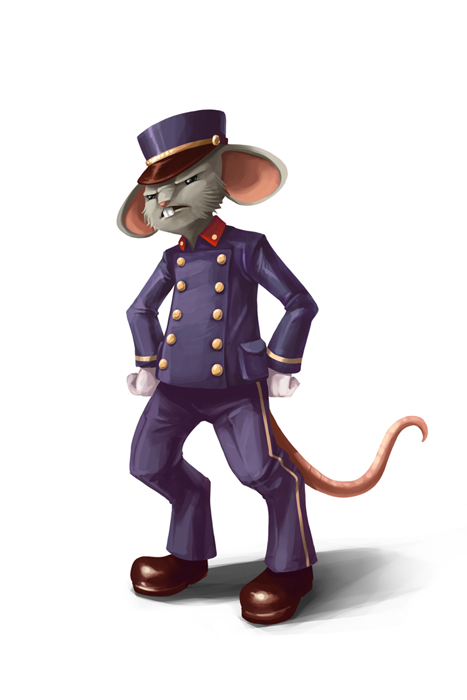 The Angry Train Staff Mouse is a breed of mouse found in the Gnawnian Express Station. Stern, aggressive and poor-mannered. These mice are approaching their wits' end trying to organize and keep all the passengers in order. Between all the stowaways, haircuts, photographs and ticketless mice, it's a marvel that they still come in to work day in and day out. Most mice would be more than happy to get off a long, boring and exhausting train ride, but for him, when one ends, it means another is about to begin. Angry Train Staff mice have no specific preference for any kind of cheese. Law type traps such as S.L.A.C. are very effective against the Angry Train Staff Mouse. This page was last edited on 8 April 2017, at 23:58.